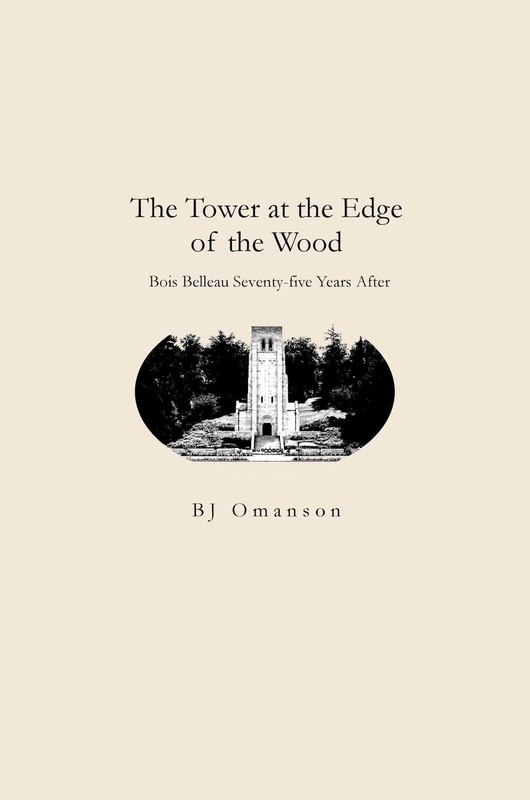 • The Tower at the Edge of the Wood, Bois Belleau Seventy-Five Years After, B.J. Omanson. Monongahela Press, Morgantown, WV, 2017. 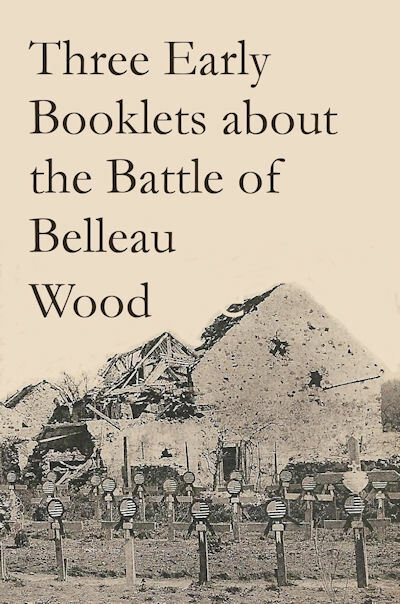 • Three Early Booklets About the Battle of Belleau Wood, edited by B. J. Omanson. Monongahela Press, 2017. • Seventy-Eighth Company, Sixth Marines, George H. Donaldson. Monongahela Press, 2017. 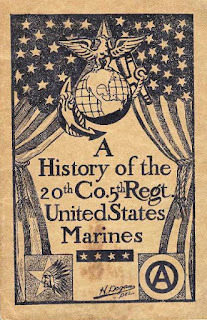 • A History of the 20th Co., 5th Regiment, United States Marines, Captain Francis Fisk. Monongahela Press, 2017. Bradley J. Omanson, poet, historian, and man of many talents, has done a great service to the study of World War I by bringing back into print several original accounts of the U.S. Marines in the Great War, as well as adding his own remarkable work tying them all together. As a Marine myself—though of much later vintage—I took on the task of reviewing this little collection simply because they were about Marines. Like Mr. Omanson’s grandfather, my great-uncle fought with the 6th Marines at Belleau Wood. Perhaps they even knew each other. Both told frightening stories to little boys of danger and adventure but never of the true horrors of the war. Decades of growing up and “finding” myself followed, which included my own brief stint in my great-uncle's and father’s Marine Corps, leading ultimately to a career studying, among other things, the two World Wars of the 20th century. This career included visiting France and her battlefields and cemeteries and being moved by the enormous emotional power of walking the ground where so many suffered. 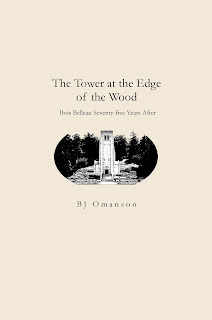 Nothing experienced before, however, brought the sheer, raw pain as Omanson’s poem, The Tower at the Edge of the Woods. Probably all readers will be moved by it, but for those who have seen that look he describes in the eyes of a wife, friend, or student it will be overwhelming. As for the other books in the collection, students of the Great War will not be disappointed. The facsimile reprints are all quite good, and of course as primary source descriptions they provide both official and unofficial actual wartime experiences. First there is Three Early Booklets About the Battle of Belleau Wood. This is a group of contemporary accounts of that battle. It includes “When the Tide Turned: The American Attack at Chateau Thierry and Belleau Wood in the First Week of June, 1918,” by Otto H. Kahn. Kahn was an eyewitness to the battle and combined his experiences with official accounts. “Bois-Belleau, Chateau Thierry: Remembrance from France; 24 Cartes Détachables by Marcel Delboy of Bordeaux,” is a set of remarkable photographs from the battlefield. 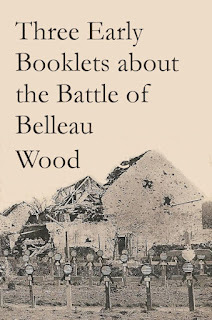 Last is “Belleau Wood and the American Army: The 2nd and 26th Divisions (June and July 1918) by Captain R. Andriot of the French Army.” This is the work of a French officer describing the American participation in the battle with great admiration and respect. Three Early Booklets also includes an addendum of photographs of the American cemetery at Aisne-Marne, taken during the 1920s, as well as maps of the area. 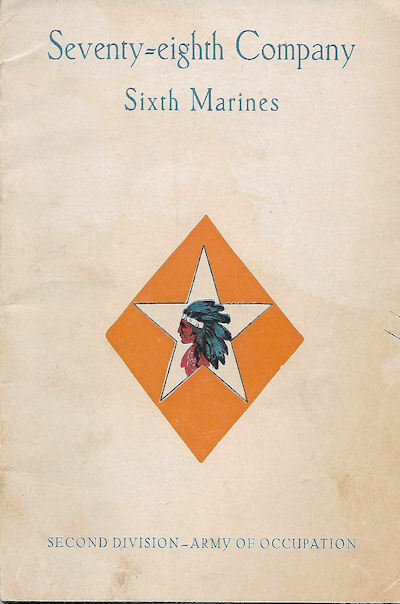 The second book in Omanson’s collection is Seventy-eighth Company, Sixth Marines, Fourth Brigade of Marines, Second Division, AEF Army of Occupation. This is a reprint of a pamphlet written by George H. Donaldson in order to “furnish a reference to which members of the Seventy-eighth Company can turn, in the years to come, to freshen the memory of their experiences during the war, and their comrades in the Company.” None of the men for which it was written are still alive, but it today provides a glimpse into the actions of a company of Marines who fought in the Great War. 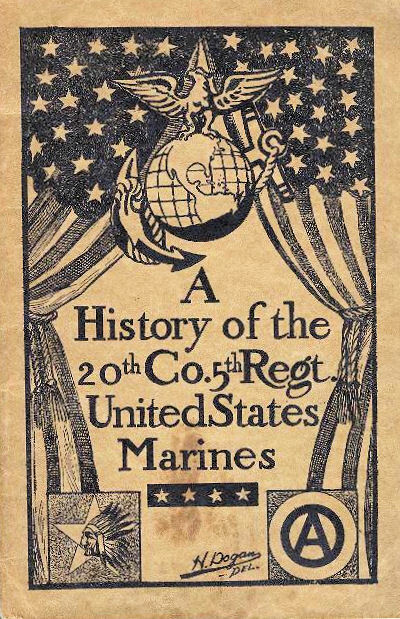 Finally, and perhaps most impressive of the three, is A History of the 20th Company, Fifth Marines, 4th Brigade of Marines, 2nd Division (Regular) AEF. This was also written shortly after the events it describes, by a Marine officer while the company was still in Germany after the end of the war. Omanson not only provides an excellent reprint of the original, but he also added maps, field messages, operational reports and his own annotations and explanations to help a modern reader understand the context of the story. Taken together, these works provide excellent descriptions, not just of the narrow actions of some of the American Marines who fought in France but a better understanding of the Great War itself. Scholars and students and indeed anyone wanting to learn about the First World War should not miss the opportunities Omanson and his Monongahela Press provides with these books. These works can be ordered at the website of Monongahela Press HERE. Excellent work, Jim. We need to be aware of these little-known publications. I'm ordering the poem! Excellent reviews. Does anyone know why the Marines of the time used both digits and letters to designate their companies?